ALRIGHT GANDHI's music is both intuitive and genre-defying. The songs are dreamy, soulful and pop-heavy, and never played quite the same way twice. No small feat, as the trio has toured in 15 countries across 4 continents since they formed in Berlin, 2014, in venues ranging from Baltic train station platforms to the back-streets of Tokyo to buzzing Manhattan clubs. Their music has absorbed those encounters; they resurface in Rosa Mercedes' adventurously winding vocal melodies and earthy bass-lines, Pietro Fornara's crystalline guitar soundscapes and Dominick Gray's dynamic, hypnotic rhythms. You are urged to change, move, reflect, relate. 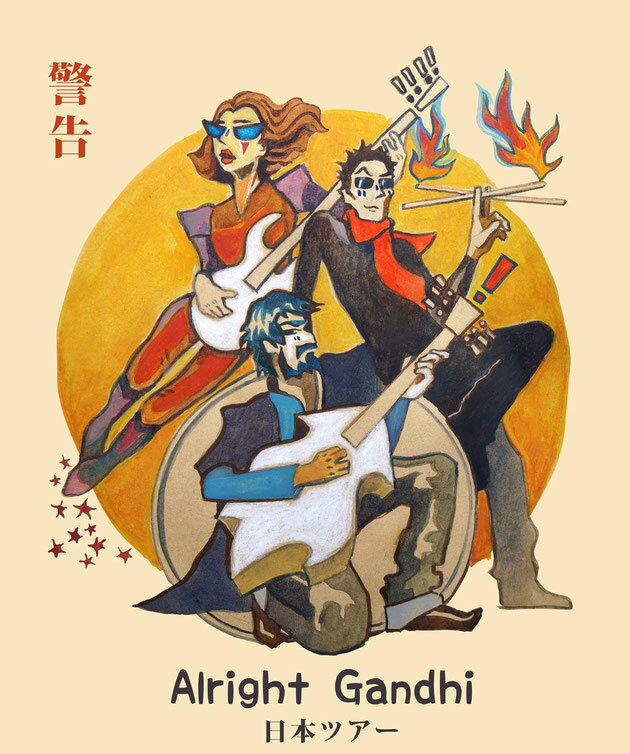 (Released 1st June, 2018) Alright Gandhi's second full-length album is a testament to those rare adventures. Recorded in the mountains of Liguria, Italy, and crowdfunded by fans, the record captures three musicians playing together in a remote stone house, with added sounds gathered on tours, such as Chicago roadworks, frogs in a pond in Ohio, and a man singing drunkenly at midday in Spain. The album is a snapshot, like a worn photograph from your great-aunt's runaway trip to the South.